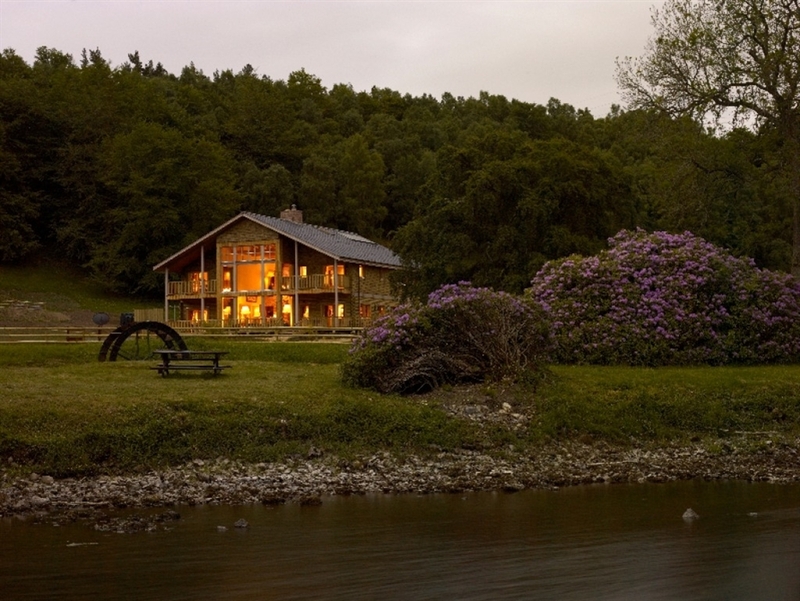 The amazing River Lodge is a 5 star luxury property, beautifully decorated, close to Inverness and Loch Ness - What else could you ask for? 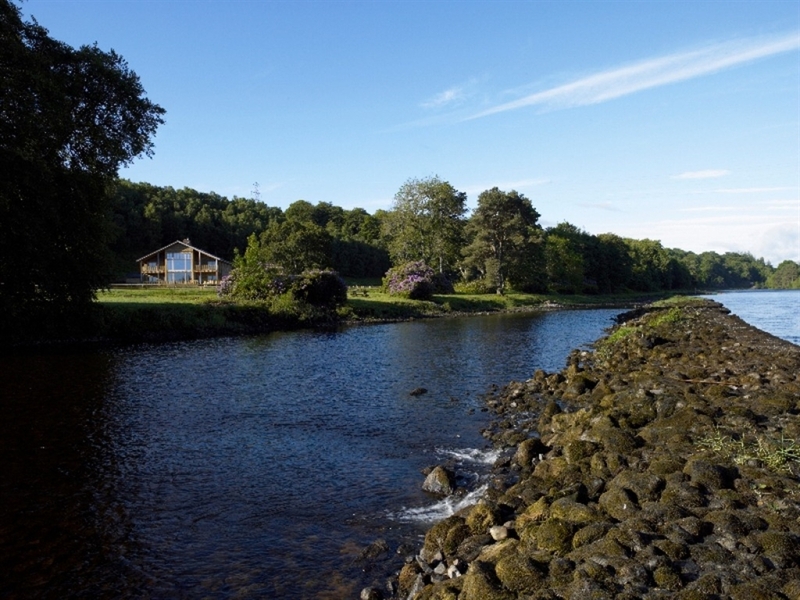 Surrounded by fantastic fishing, golfing and walking country River Lodge is a five star luxury property which offers exceptional holiday accommodation. 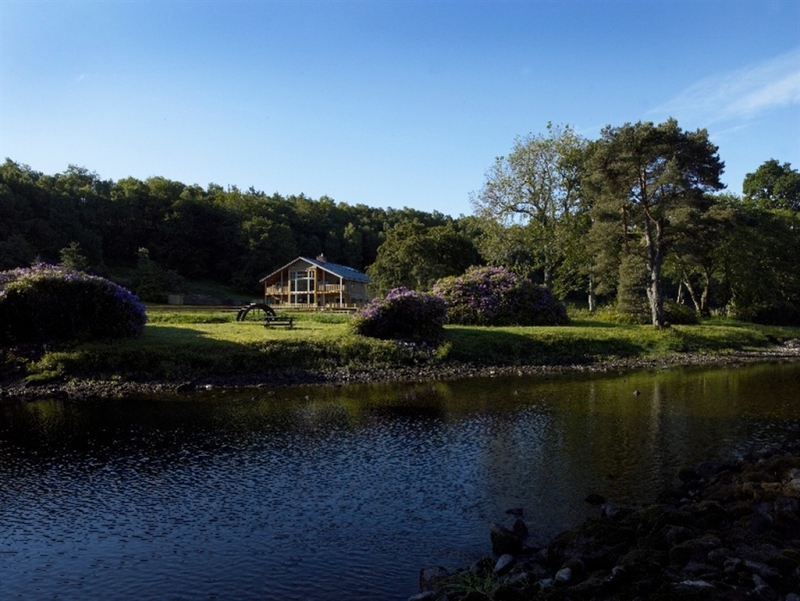 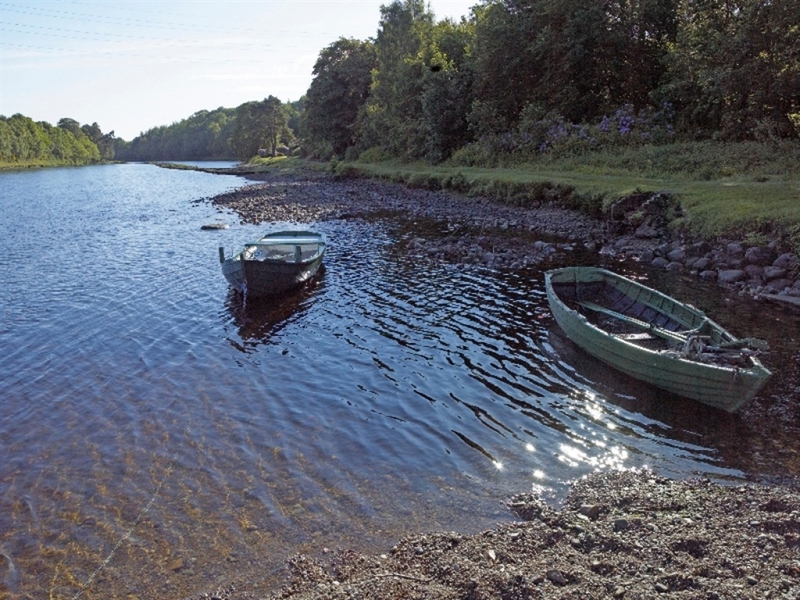 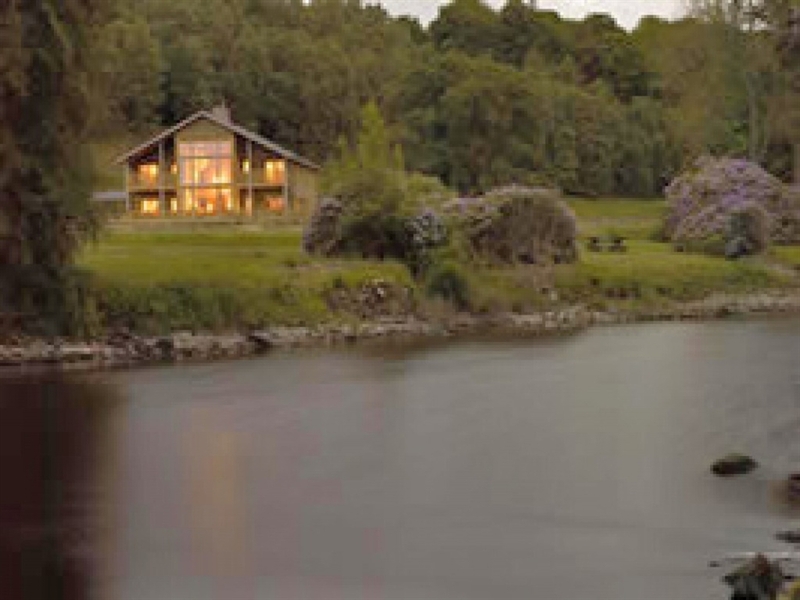 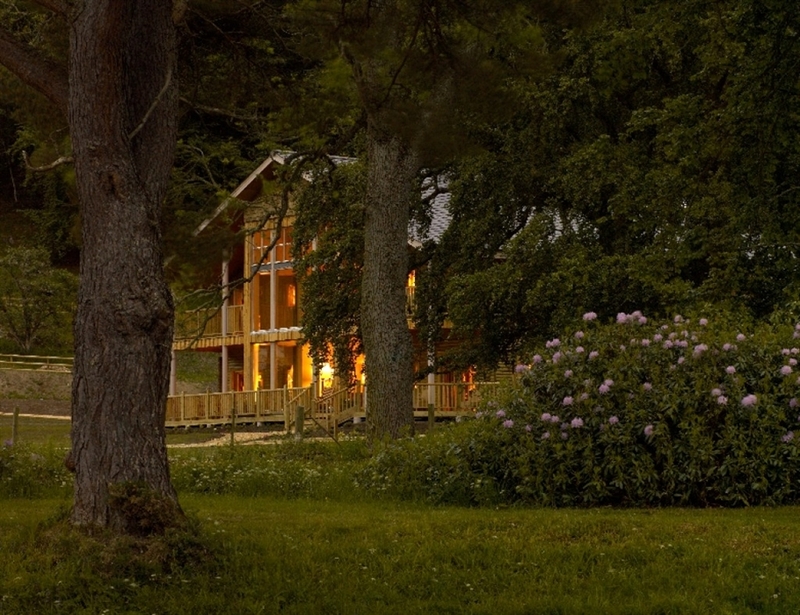 In a tranquil wooded location between Loch Ness and the city of Inverness the lodge enjoys picturesque views over the River Ness providing an ideal retreat, perfect for large groups, families or corporate events. 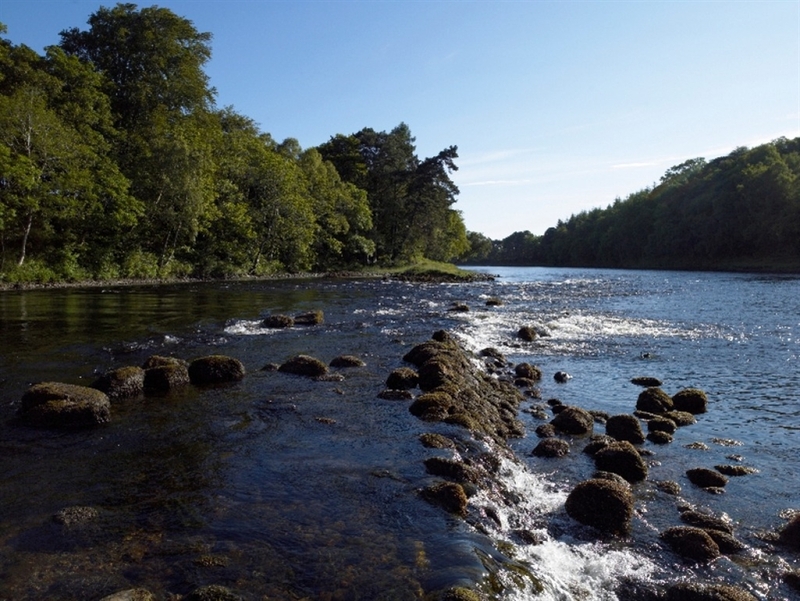 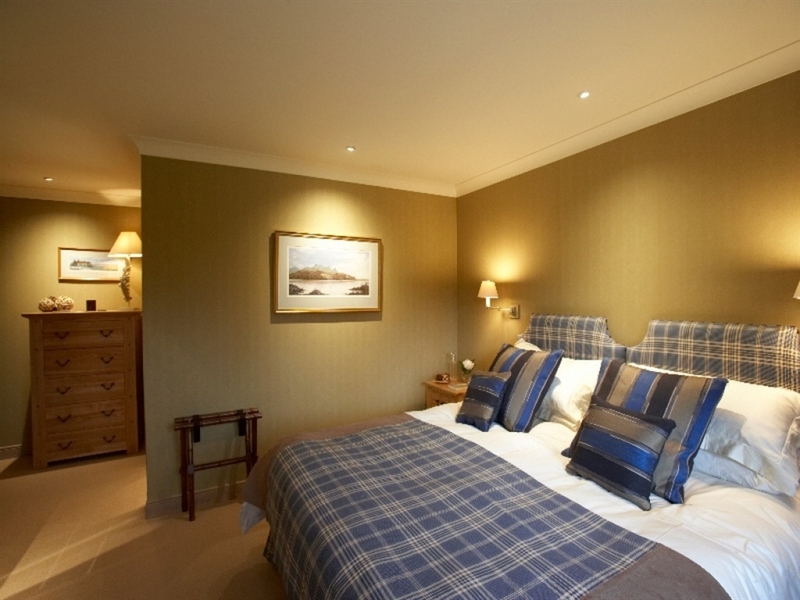 The five star facilities ensure complete comfort and relaxation and the location gives a sense of complete seclusion although conveniently Inverness is a mere fifteen minutes away. 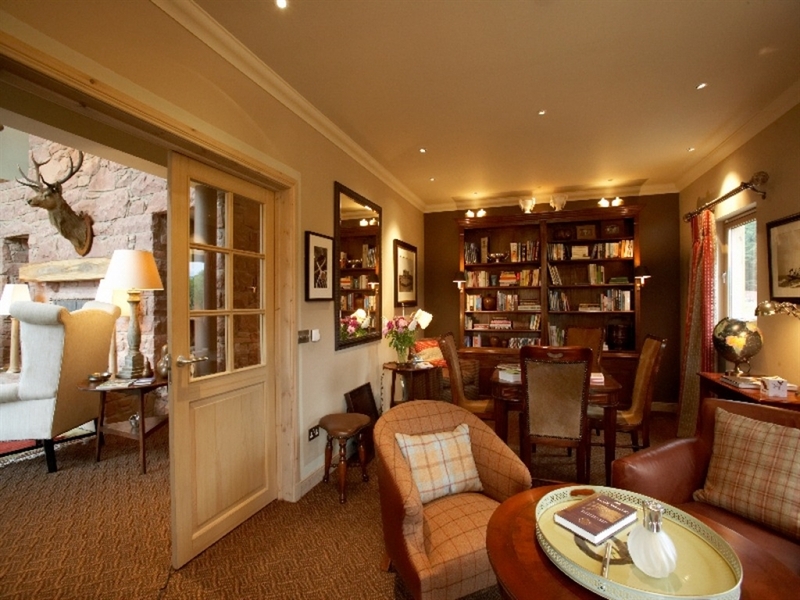 The lounge with its truly magnificent fireplace, forms the centre point of the property and with a double height cathedral ceiling this room is wonderfully light and spacious. 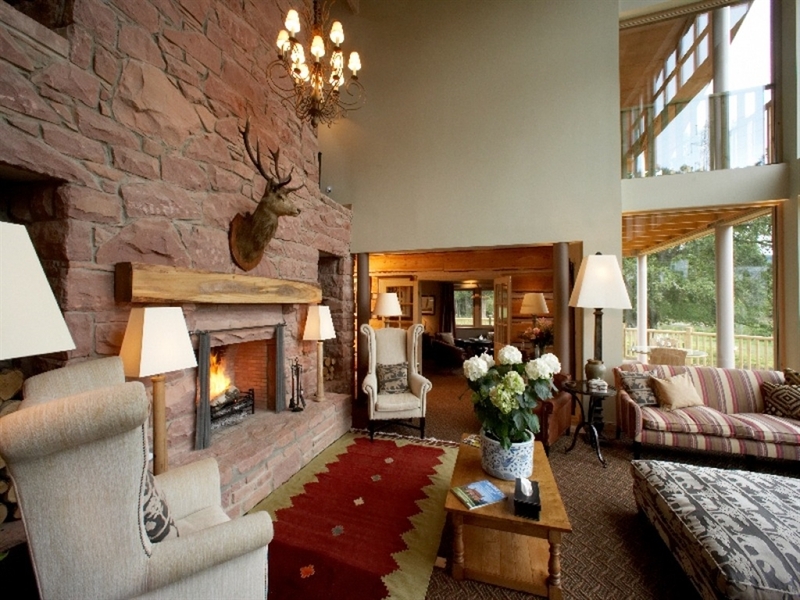 The grand picture window allows guests to marvel at the breathtaking views over this famous river. 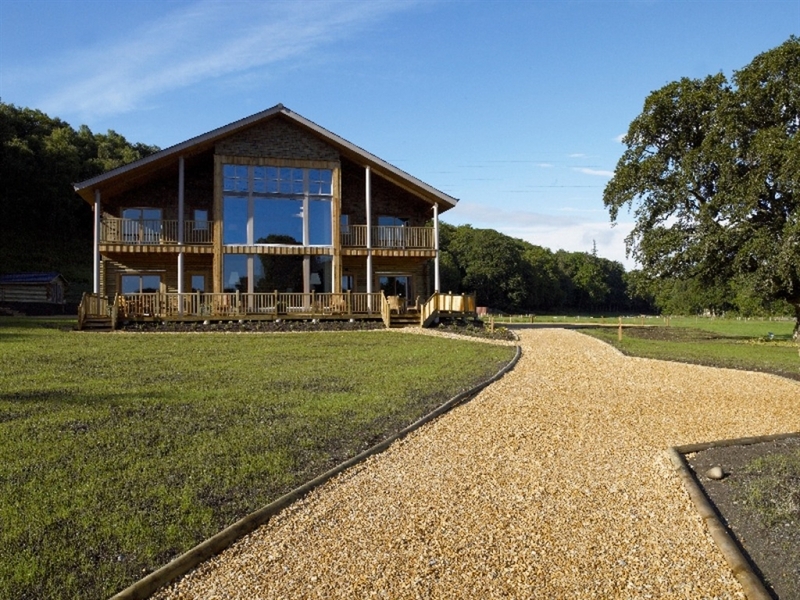 The ground floor is mostly open plan so the area is very spacious and the wonderful multi cultural furnishings are spread throughout the large dining or banqueting area, fully equipped modern kitchen and the hall which is dominated by a dramatic central staircase. 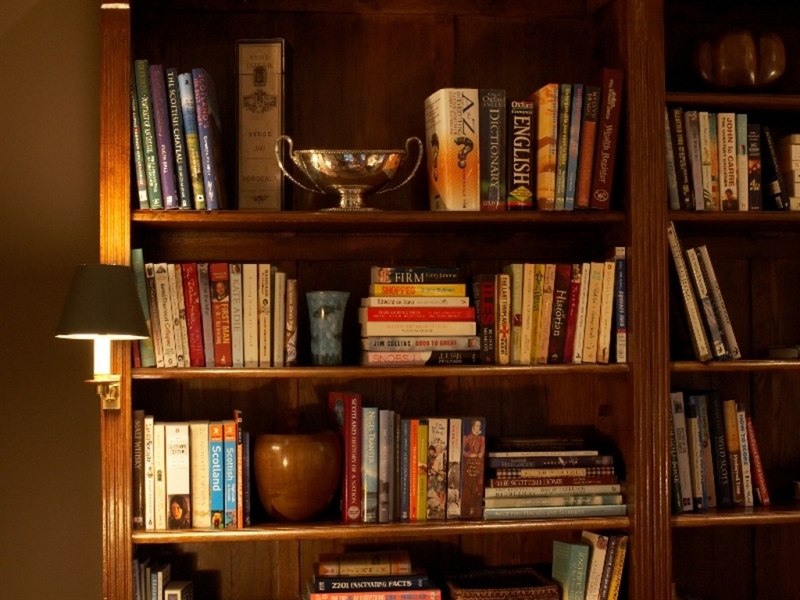 The library provides an excellent place for relaxation and privacy and the added luxury of plasma televisions make it a super retreat. 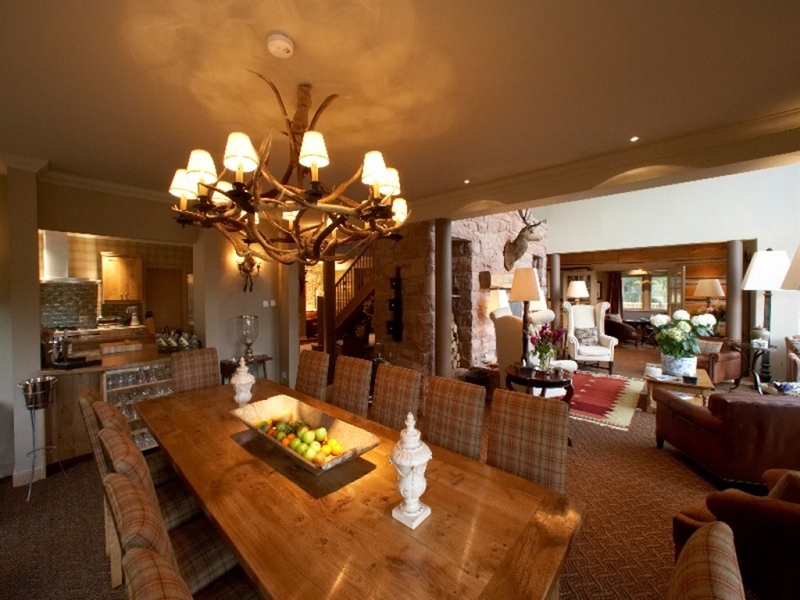 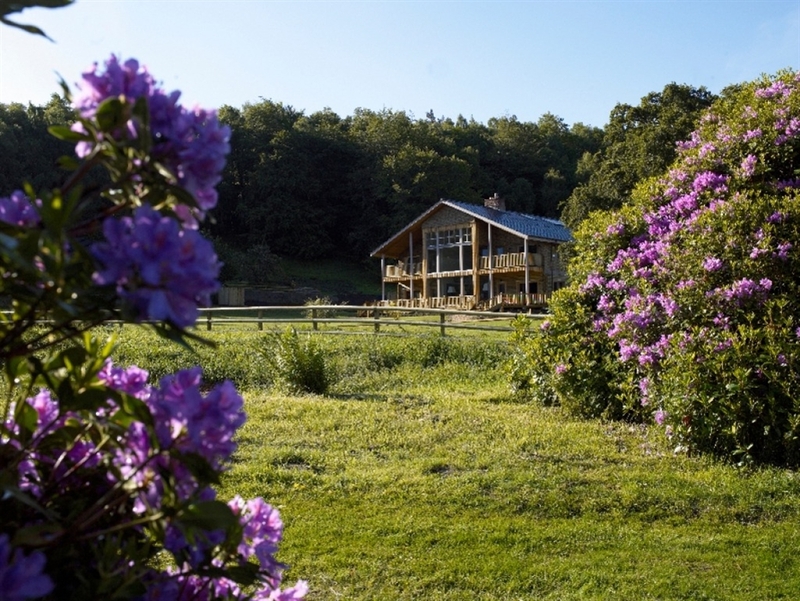 This superior holiday lodge is a genuinely luxurious experience and allows guests to enjoy exquisite living in majestic surroundings and is ideally placed for exploring the rich and diverse Scottish Highlands. 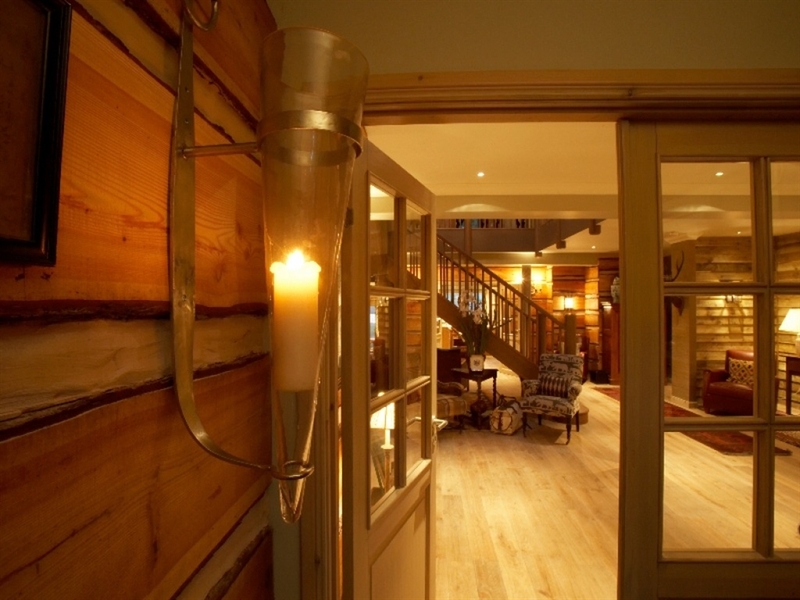 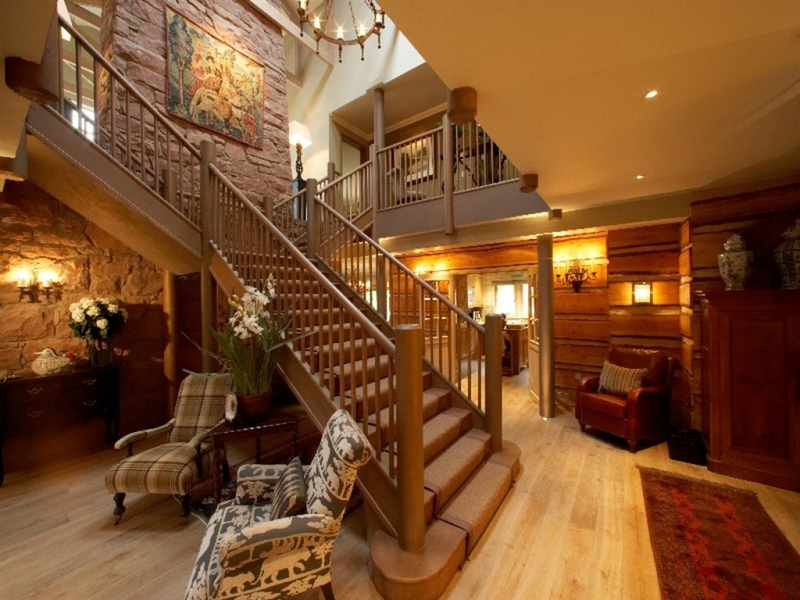 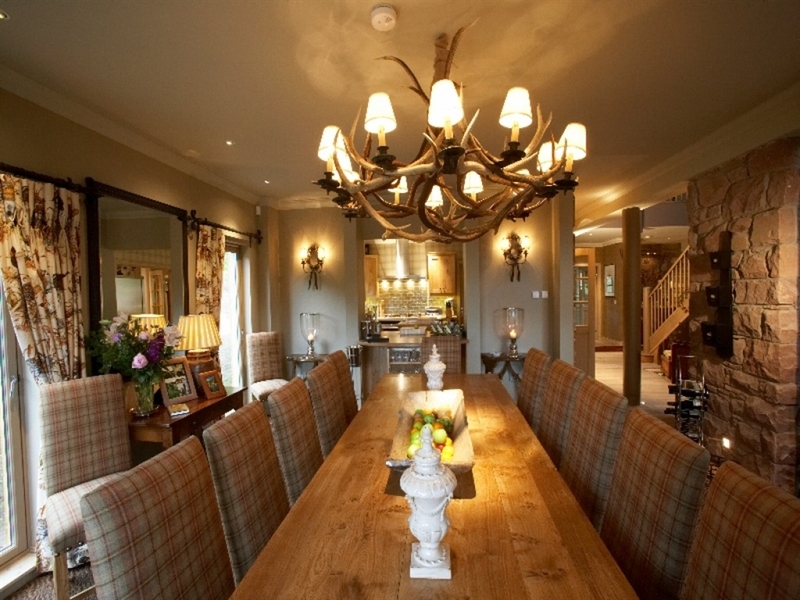 Mostly open plan including large hallway, lounge with open fire, spacious dinning/banquet area. 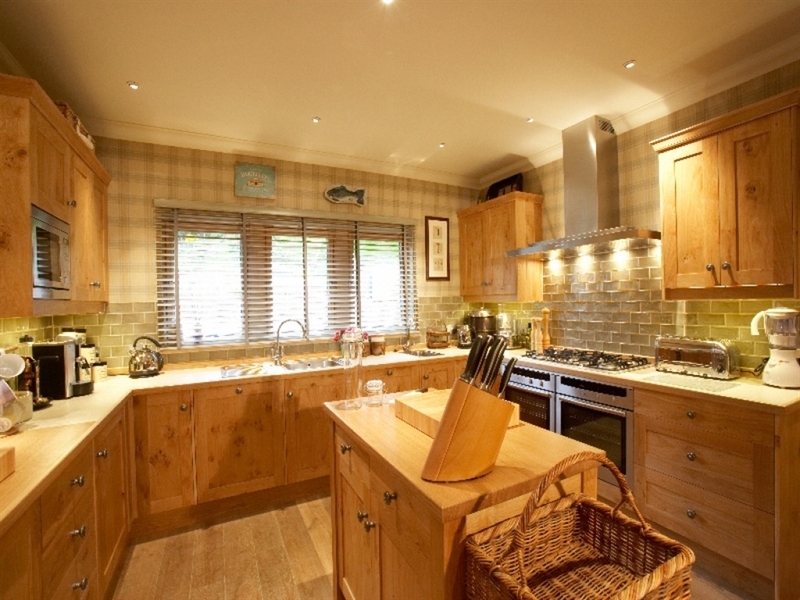 Spacious kitchen with walk-in larder, 1 twin bedroom & en suite, library, rest room and boot room. 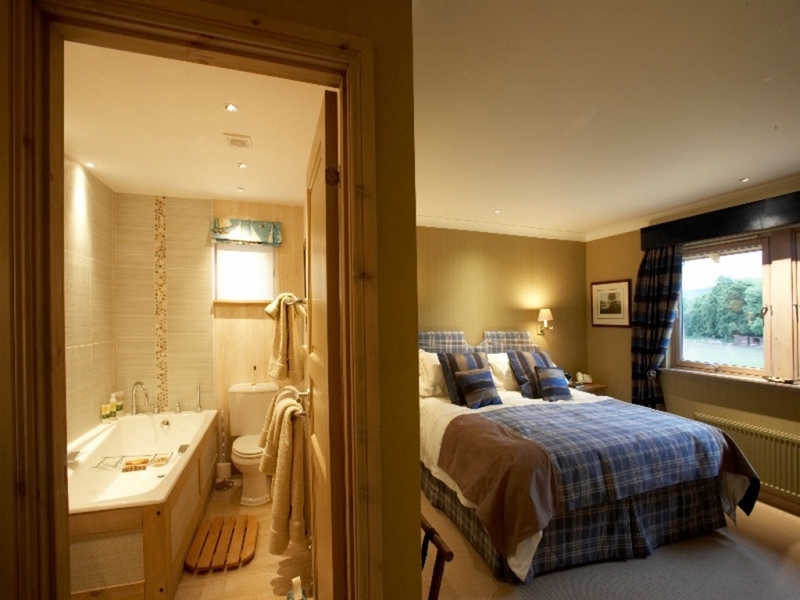 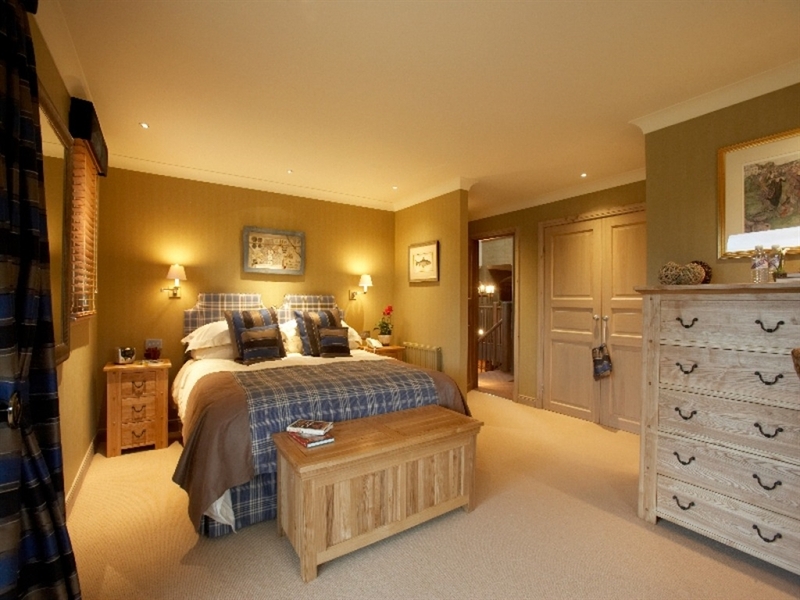 6 double or twin rooms, all en suite. 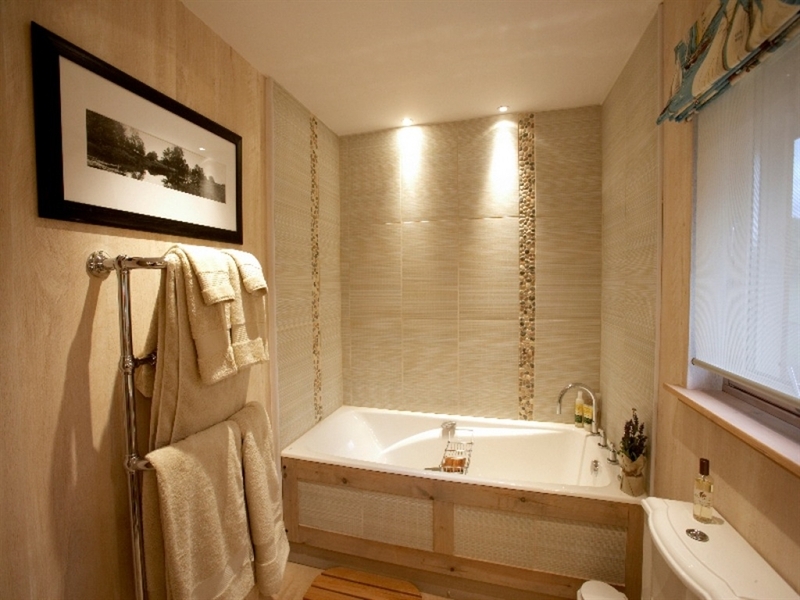 Hot Tub and Steam Room in separate building close by subject to availability and prior booking is requested. 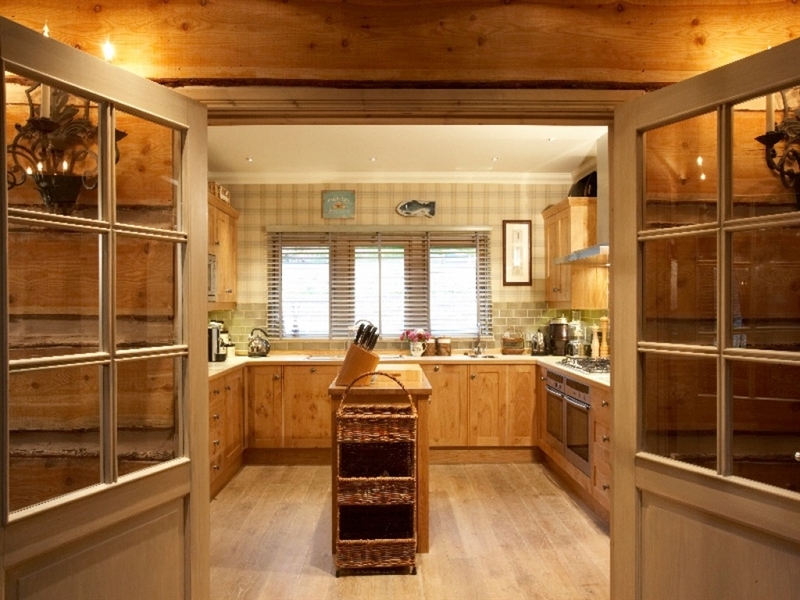 There is also kennel space for 2 dogs.